Product code: 1723 Categories: Sold Items, Sold Rings. The Retro period of the 1950’s produced some fabulous designs and styles that really stand out. 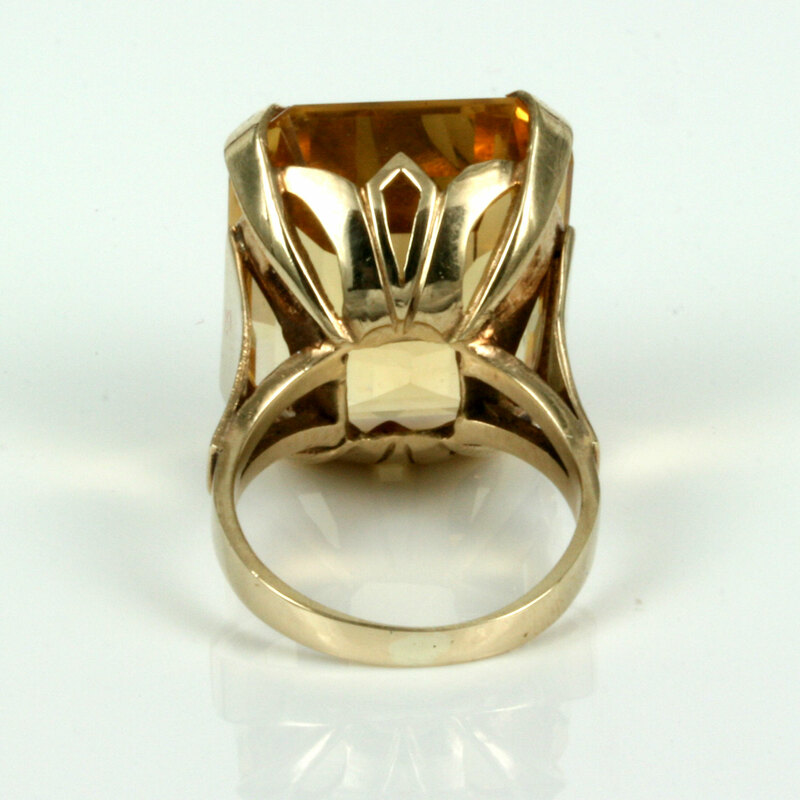 This Retro era ring is hand made in 9ct gold and set with a fabulous 36 carat citrine that is the most wonderful colour. In measurements, the citrine measures 22mm by 18mm and simply sparkles in the light. The size of this citrine is just magnificent, and with the wonderful setting this Retro citrine will impress everyone!